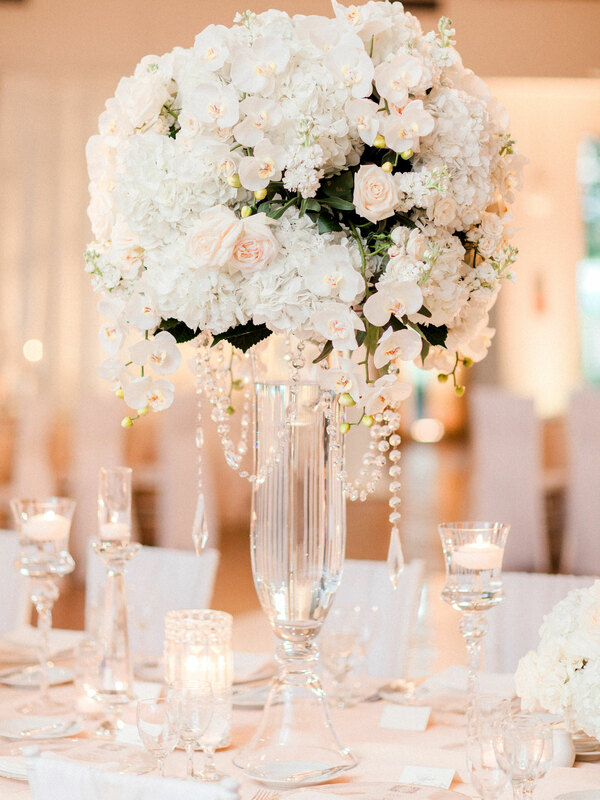 When it comes to choosing wedding reception centerpieces, most couples first decide if they want tall flower arrangements, short centerpieces, or a mix of high and low designs. 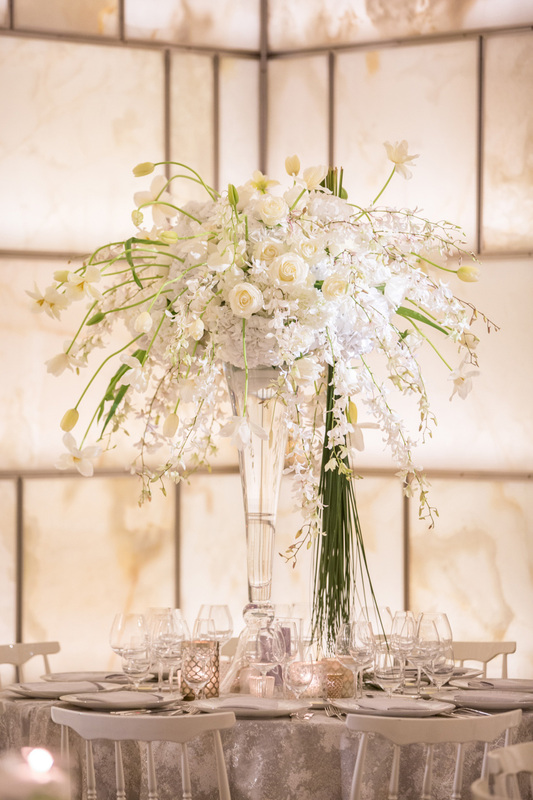 While some pairs select low centerpieces to make it easier for guests to converse with one another throughout the dinner service, the decision to choose tall flower arrangements is one that will instantly transform the space. 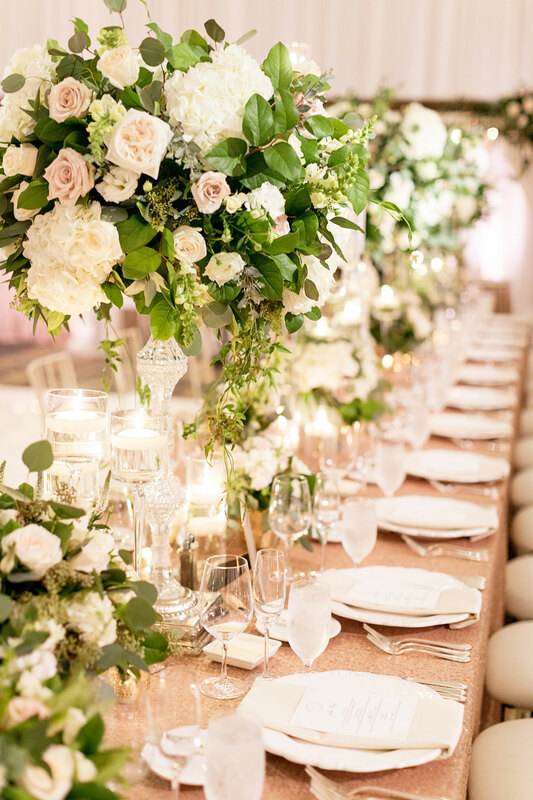 There's nothing like walking into a grand ballroom decorated with tables topped with towering floral centerpieces, and going this route will certainly wow your guests and make for gorgeous images in your wedding album. 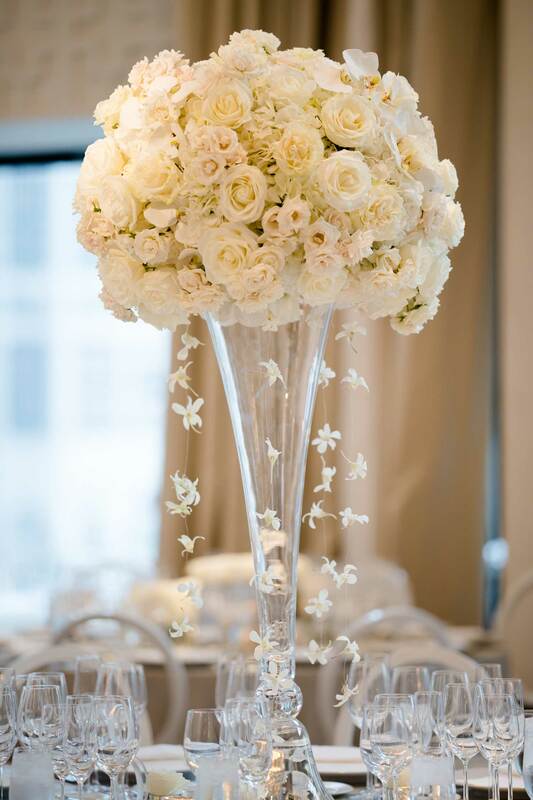 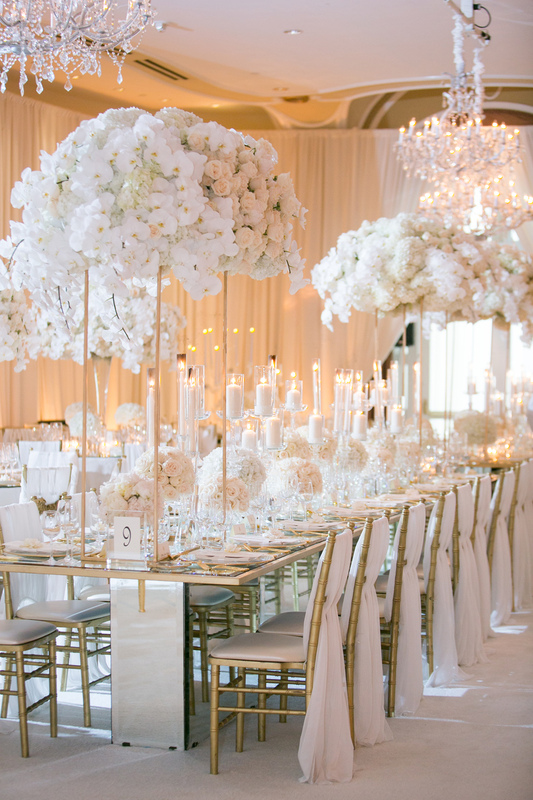 To achieve height, most florists will begin with glass or crystal vases, gilt risers, or candelabra and top them with lush blooms including roses, hydrangeas, dahlias, and orchids, or a mix of the couple's favorite wedding flowers. 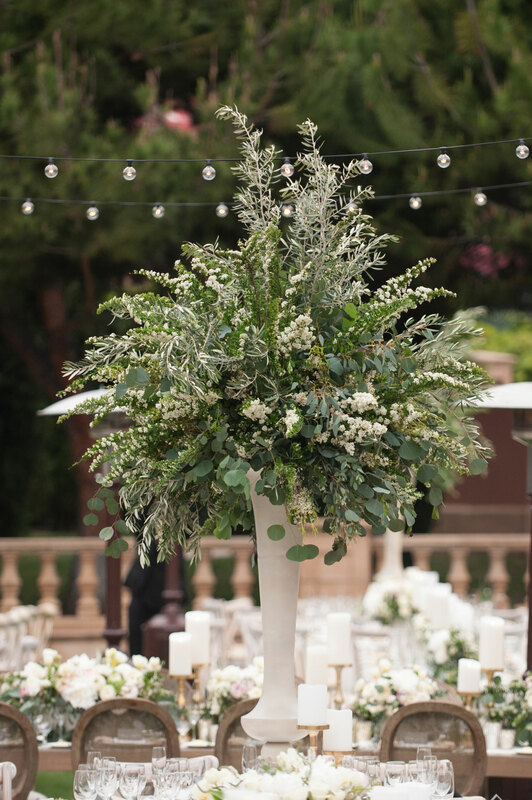 Additional options include stock, branches or curly willow, greenery, or even driftwood to add height and create a rustic, tree-like arrangement. 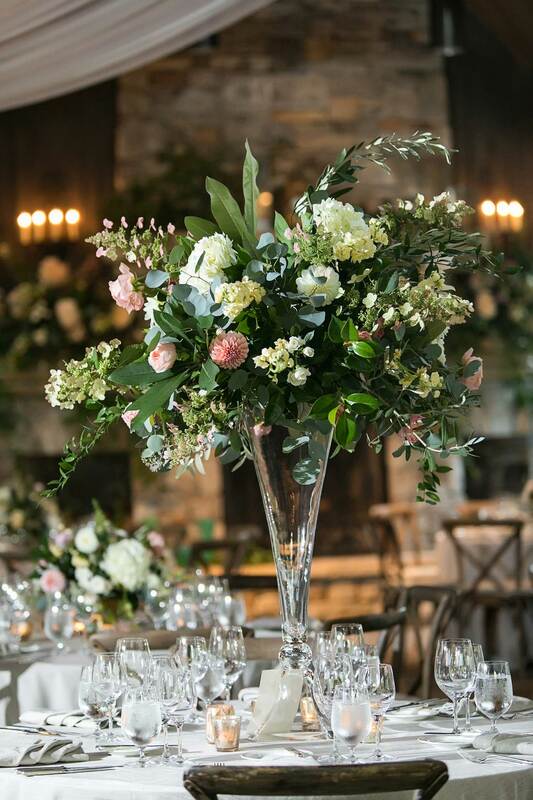 Especially ideal for event spaces with high ceilings or those wedding receptions taking place in tents, tall flower arrangements help to create a cohesive look that breaks the barrier between low tables and high ceilings, drawing guests' eyes upward. 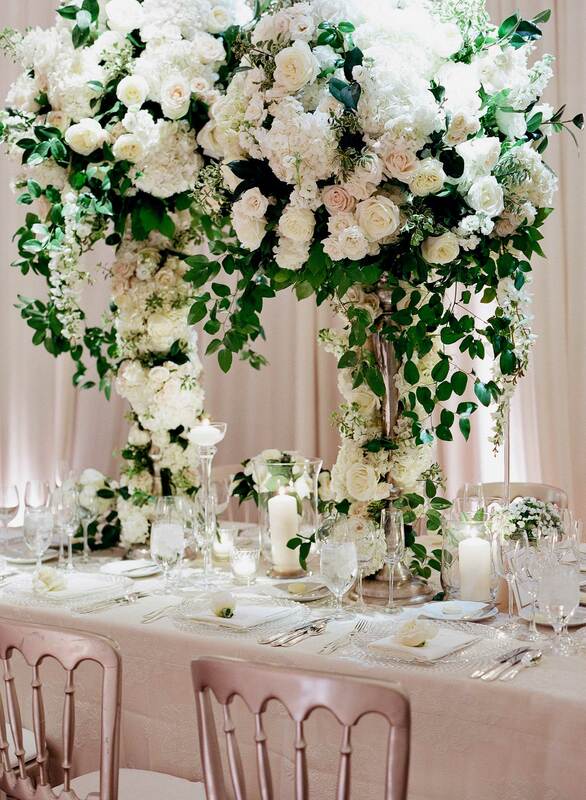 Also, if you've always wanted an outdoor wedding, but the weather of the season doesn't permit an alfresco soirée, you can create a garden-inspired look indoors with tall, lush arrangements of flowers and foliage – even adding in trees to bring the outside in. 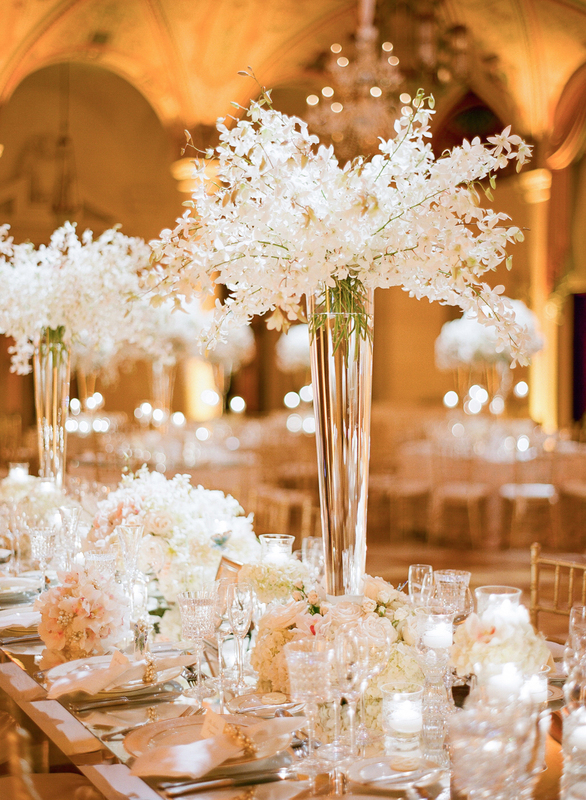 No matter what the setting, tall floral arrangements and centerpieces create an opulent atmosphere. 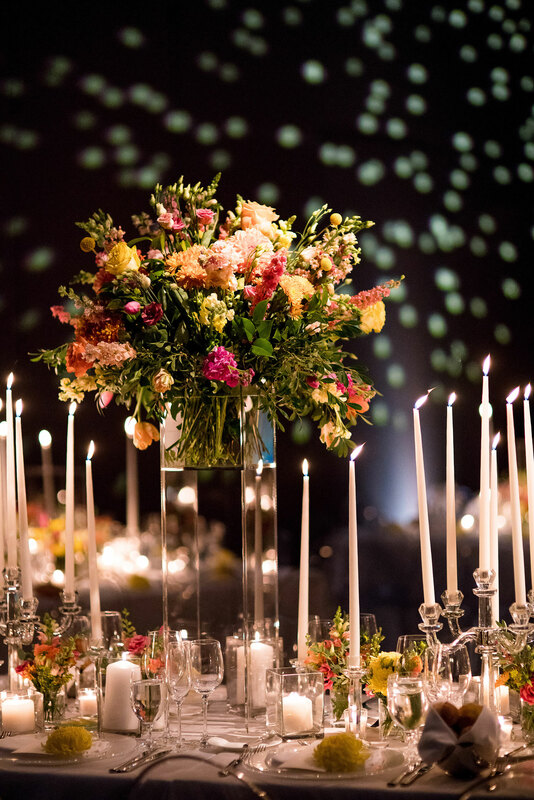 Browse the images from real weddings below to inspire your own wedding reception centerpieces. 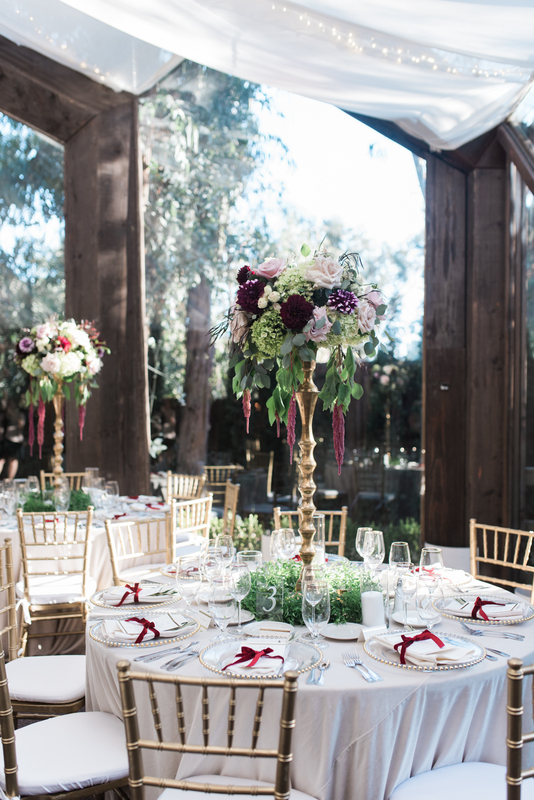 Click each photo to see more from these beautiful events! 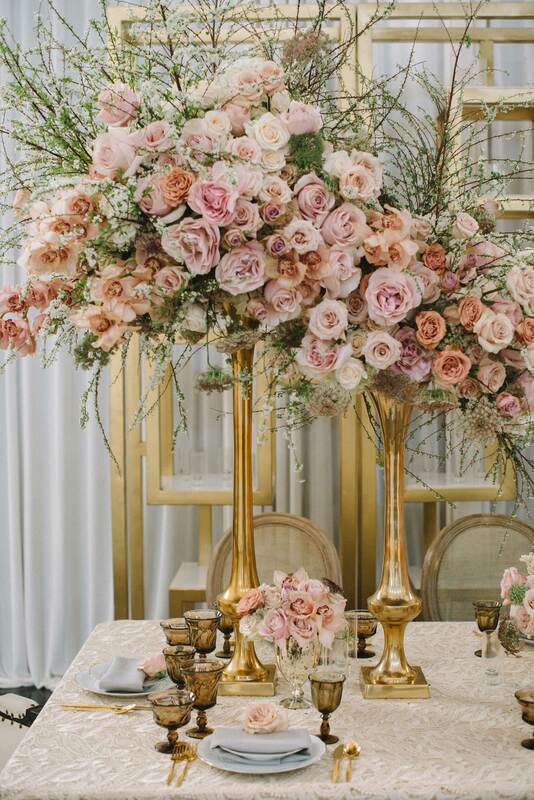 For more reception ideas, discover how to decorate your wedding bar, view remarkable ceiling installations over tables and the dance floor, and be inspired by these rustic-chic wedding centerpieces.